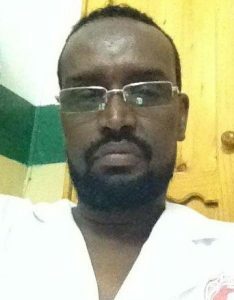 In his job as a physical therapist in Mogadishu, Somalia, Osman Ibrahim Mohamud has learned to be resourceful. The Somali Red Crescent rehabilitation center where he works has a small medical library. But he could find few references to help him with growing numbers of cases that he was seeing each week – children born with clubfoot or cerebral palsy. Armed with a computer, Internet access, and perseverance, Mohamed went looking for answers. He found Global HELP. In developing nations throughout the world, healthcare professionals often struggle without access to affordable, relevant, up-to-date medical information. In Somalia, the challenge is especially difficult because, after two decades of political upheaval, the country’s healthcare system has been severely weakened, and travel to Somalia can be difficult. Helping people like Mohamud is at the heart of Global HELP’s mission – providing free and low-cost healthcare materials to every place on the planet. Mohamud sees a better future for his country and his patients.